For those of you who don't know, the 'Inter City `125' have been fundraised for nearly three years to raise enough money to take the full First Team squad over to Hamburg in July 2018, for a special celebratory friendship match with Altona 93, who will also be one hundred and twenty five years old next year. In July 2015 they visited Champion Hill, backed by over a hundred supporters, and we are going over there, to play at the very same Adolf-Jager Kampfbahn where Edgar Kail led The Hamlet on tour way back in 1925! This is a tour led by our supporters, who have been tirelessly fundraising to get together the estimated eight to nine thousand pounds to make the tour a success. 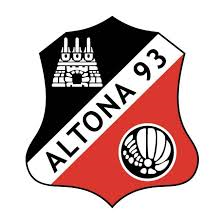 There will be two matches played, with the first on the Friday evening, 13th of July and the climax of the tour being the big eagerly anticipated clash with Altona 93 to take place on Sunday 15th July 2018, kicking off at 12 noon. The Quiz , which will be on Wednesday 29th November,will this time be on a 'General Knowledge' theme, and will consist of six fun rounds, with up to six players in a team. The entry fee to be paid on the night is THIRTY POUNDS per side, or £5 per player, if less than six. There will also be a raffle, an small auction and a number of 'spot prizes' on the night.  Time to get in the Abbey habit It's back on the FA trophy trail on Saturday, at a club that we have never played before. Merstham 0-4 Dulwich Hamlet  Two goals in each half from The Hamlet took them to the top of the table in a clinical display against a previously in form Merstham side.